The material Nitrile, also known as Buna-N or acrylonitrile butadiene rubber, functions at a temperature range of between -65 F and 300 F.
O-rings made from Nitrile are typically used for general sealing purposes, which includes sealing of hydraulic fluids, petroleum oils, water and so on. 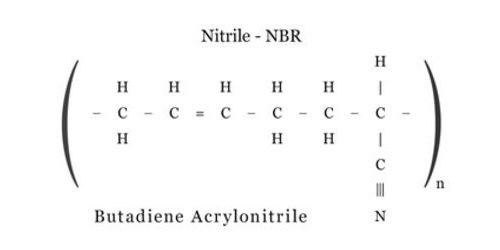 Excellent performance under conditions of abrasion and tear also made Nitrile the material of choice for demanding applications. Incompatibility with ketones, hydrogenated hydrocarbons, vehicle brake fluids and phosphate ester hydraulic fluids should be taken note of. Compounding increases the ability of Nitrile seals to withstand weathering and ozone degradation. Nitrile is best used in environments where requirements for temperature resistance is not exceptionally high. 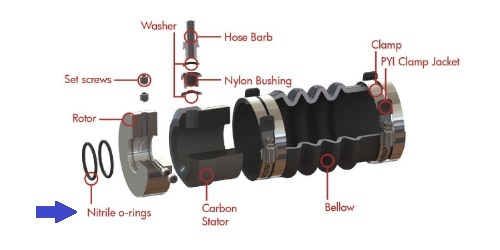 The versatility of nitrile rubber allows for its extensive use in the manufacturing of o-rings and seals in aplications from fuel systems to carburetors in automobiles. Gmors Rubber Industrial Co., Ltd is a manufacturer of nitrile o-rings since 1978. We welcome all inquiries. Visit our company official site for more details. Copyright © 2017 Ge Mao Rubber Industrial Co., Ltd.